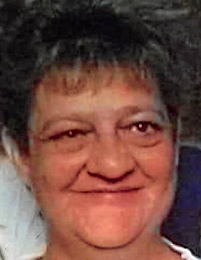 LEAH GALE SEYMOUR, age 66, of Washington CH, passed away on Sunday, January 27, 2019 at 2:22 a.m. at Grant Medical Center in Columbus. She was born on December 8, 1952 in Fayette County to William Reed and Geraldine Wilson Ferryman. Leah lived most of her life in the Fayette County area except for the eight years she spent in sunny Florida. She enjoyed playing bingo, working in puzzle books, and loved drinking iced tea. Leah was preceded in death by her parents; step-daughter, Christina Lynn Seymour; and her brother, Leonard Reed. Survivors include her husband, Jim Seymour, whom she married on July 4, 1989; her children, Dawn (Curtis) Hurley, Angie (David) Brown, and step-daughter, Diana Seymour; grandchildren, Justin Smiddy, Clay Hurley, Skyler Buckner, Heather (Alek) Erwin, Trina Schreckengaust, Cheyenne Hurley, Catlin Seymour, and David Brown III; and sisters, Carol Stogner, and Phyllis Perkins. Also surviving are several nieces, nephews, cousins, and a host of friends. A viewing will take place on Sunday, February 3, 2019 at the Summers Funeral Home from 2-4:00 p.m. Cremation will follow. Burial will take place at a later date at the convenience of the family.